One of several renditions of cracker packages for Essential Baking Company. Establish design for new Kurt Farm Shop products: farm honey, quince jam, lard, and chinese plum sauce. 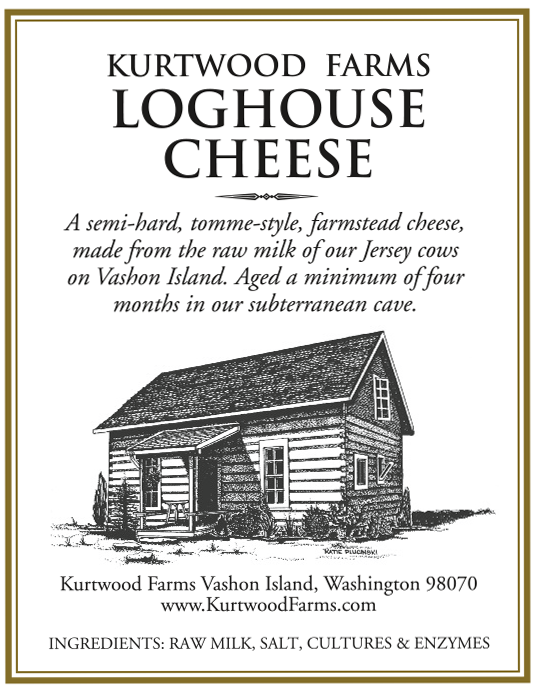 Redesign of existing cheese label. And yes, Dinah is a real cow on Kurt's farm. New product label for Flora's Cheese to coordinate with existing Dinah's Cheese label. Identity, logo, packaging for Mustapha's / Haddouch Gourmet Imports, to coordinate with olive oil packaging. Identity, logo, packaging for Mustapha's / Haddouch Gourmet Imports olive oil bottles and gift set. Packing for Grand Central Bakery's crouton line, incorporating their existing logo. Identity and packaging for Pasta & Co. signature sauces: mediterranean, marinara, and moroccan. Design new line of Pasta & Co. shopping bags and create new eggplant illustration to coordinate with existing illustrations. Identity, branding and packaging for Pasta & Co. signature olive oil. Identity, logo and packaging for Pasta & Co. signature red and wine wine vinegars. Packaging for Pasta & Co. limited edition high end tea. Design custom shopping bag covered in Pasta & Co cooking tips and recipes. Logo and branding design for all deli materials. Prototype for Vashon Winery Tramp Harbor Red. Photo of vintage exercise bikes at Tramp Harbor by Rick Dahms. Identity, logo and coffee / deli package label. One of my favorite taglines: Coffee, Tea & Therapy. Identity, logo and packaging for Café Luna coffee bags, cups, tea tins, and merchandise. Identity, logo and packaging for Life Between The Ears notecard sets.